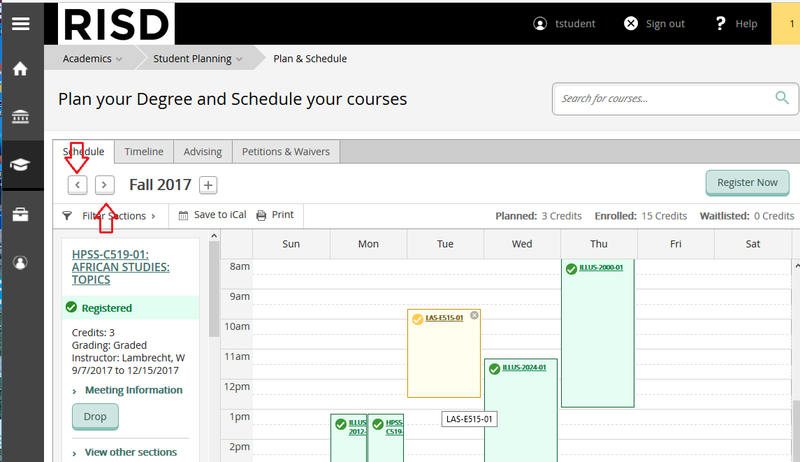 How can I see my class schedule online? You will be able to see your class schedule when you log in to Student Planning. Go to ss.risd.edu/student and log in with your RISD username and password. 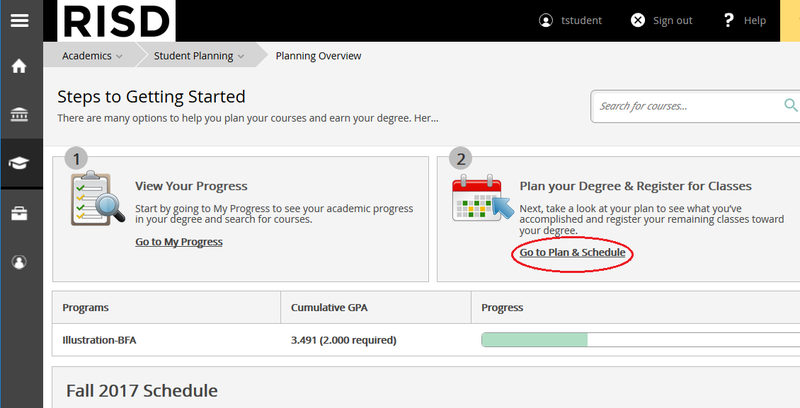 Once you log in, select Student Planning from the main landing page. 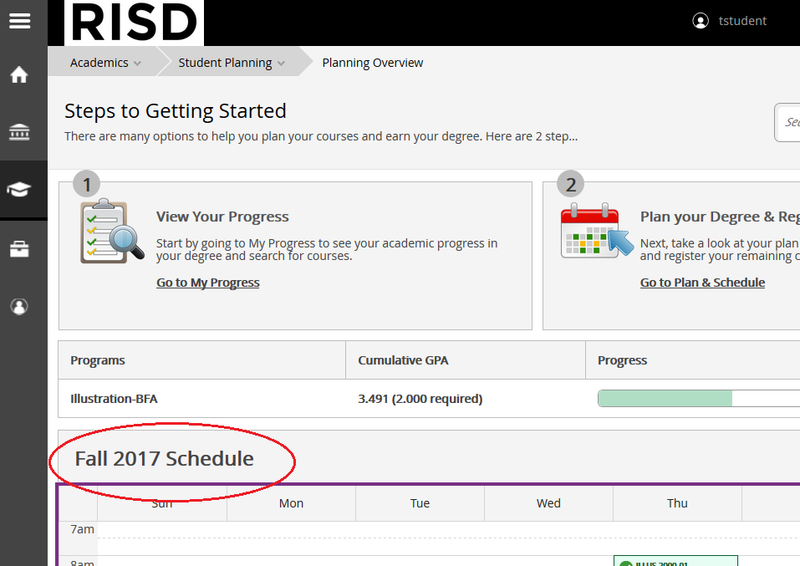 You can also select “Go to Plan & Schedule” to view past schedules and planned future schedules (if applicable). Scroll through the arrows to view past and future schedules. Courses in green are registered courses; courses in yellow are planned. The following video tutorials can provide additional information.